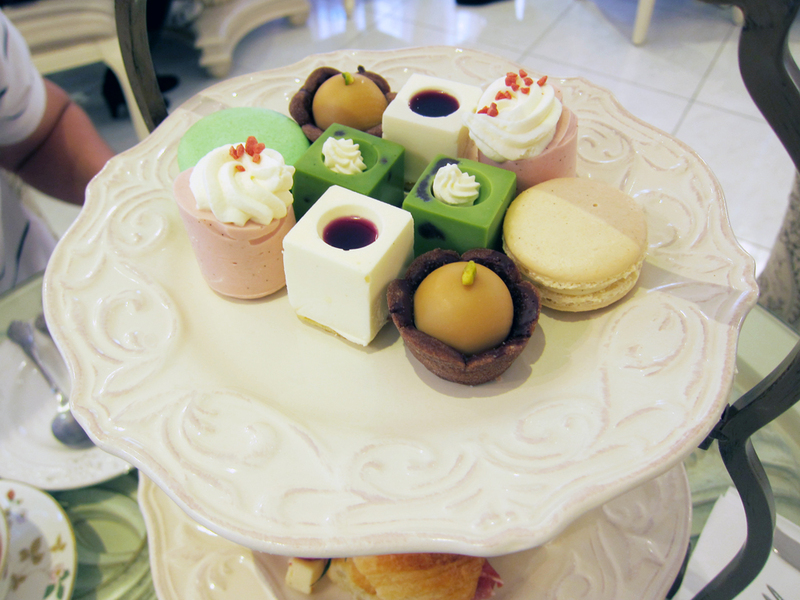 I keep hearing and seeing pictures of this gorgeous new afternoon tea place. Although I didn't know the location, at least I knew the name. Therefore I was quite excited when I first spotted the 2 for 1 deal on SocialShopper. 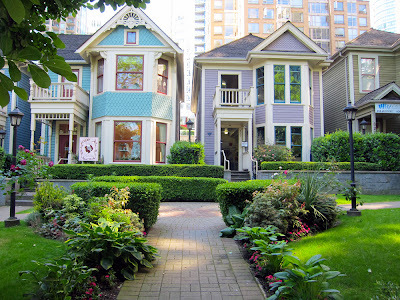 Patisserie Fur Elise is located in one of the 4 heritage homes in Yaletown. Because these buildings are considered heritage home, thus they do have a list of rule and regulation to follow in terms of renovation and maintenance. As you can see the outside facade must be kept the same, and even painting it a certain color requires authorization. This place had gorgeous landscaping, so I think it would be great for wedding photography. 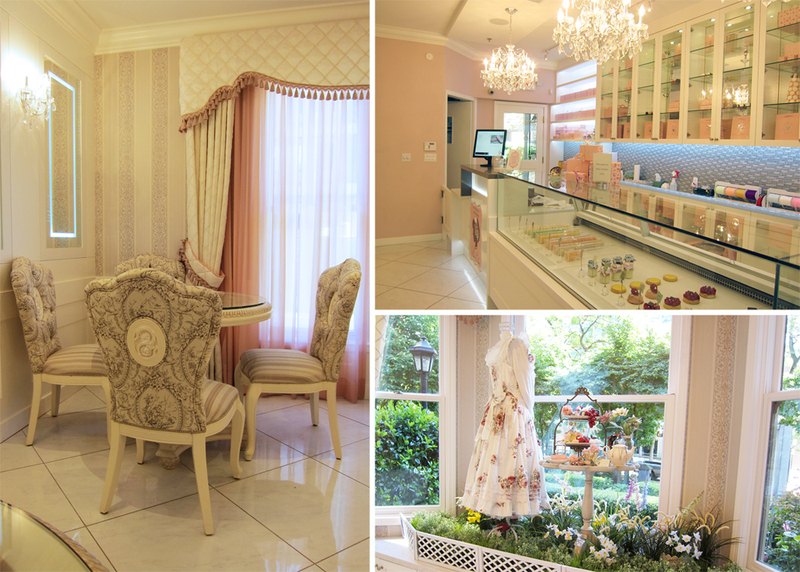 The decor was what you are really paying for, because it's stunningly beautiful and whimsical. All the waitress were wearing old fashion floral print aprons to add to that afternoon tea in the palace feel. 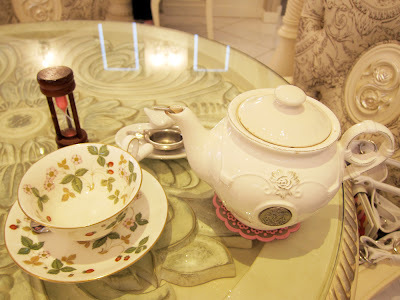 - my blueberry tea had a lovely aroma, but sourish. All it needed was some sugar, but definitely don't add any cream, as the acidity curdles it. - R had the honey scented tea, which sadly I couldn't really detect any honey. - everyone before us had the blueberry panna cotta, but I think they ran out when it was our turn. - orange tartlet: wasn't expecting much, but this was delicious with lovely orange flavors. - bocconcini and tomato with balsamic reduction: a great little salad between sandwiches. - scones with home made kiwi apple jam: The jam was so delicious without being overly sweet, I just wish we had some denvonshire cream to go along with it. 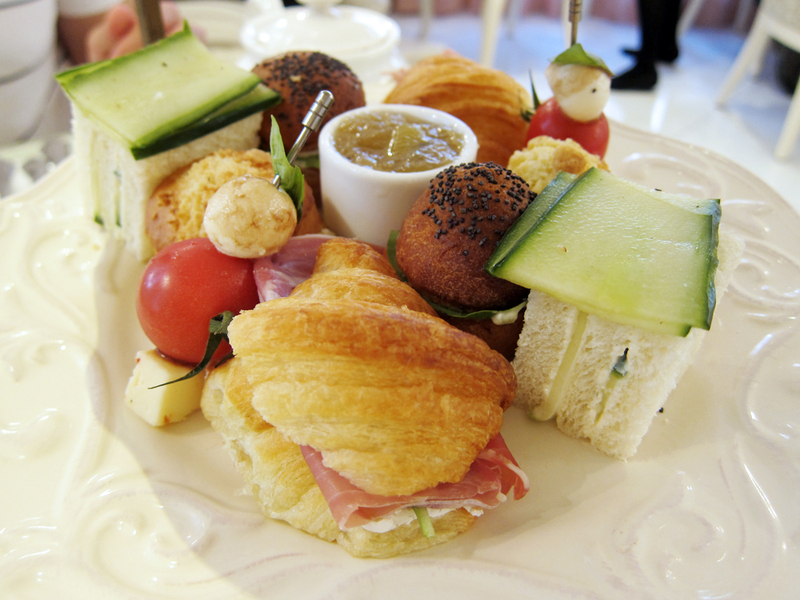 The scones were serve cold, which they could have been warm. R and I both enjoyed this experience, of course I enjoyed it a tad more :D. Both the food and service were good, and you just can't top this decor. I think this place is perfect for bridal or baby shower with your girl friends. Oh I forgot to mention, the price per person for afternoon tea is $30 and their upstairs seating area is only used for this purpose. 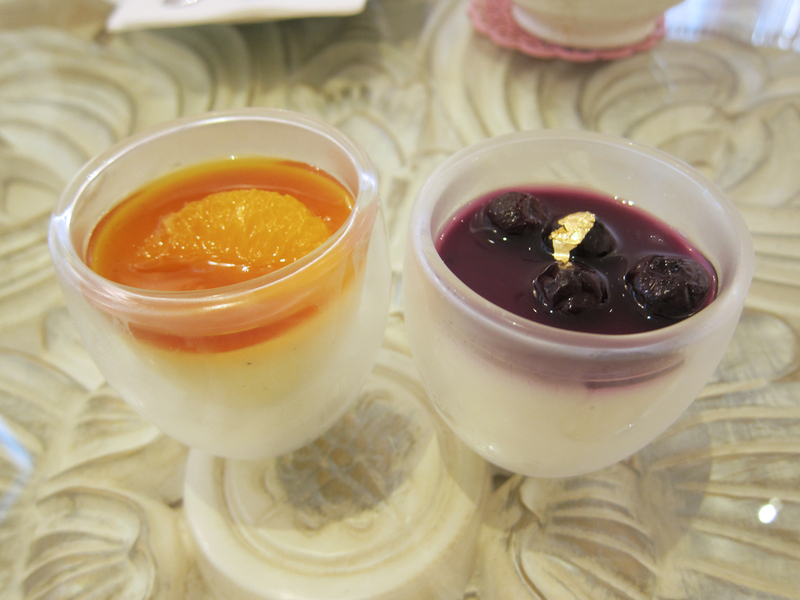 If you wish to buy dessert, I think you will need to get take out. One last thing, reservation is highly recommended! Cafe Regalade - reservation highly recommended! !